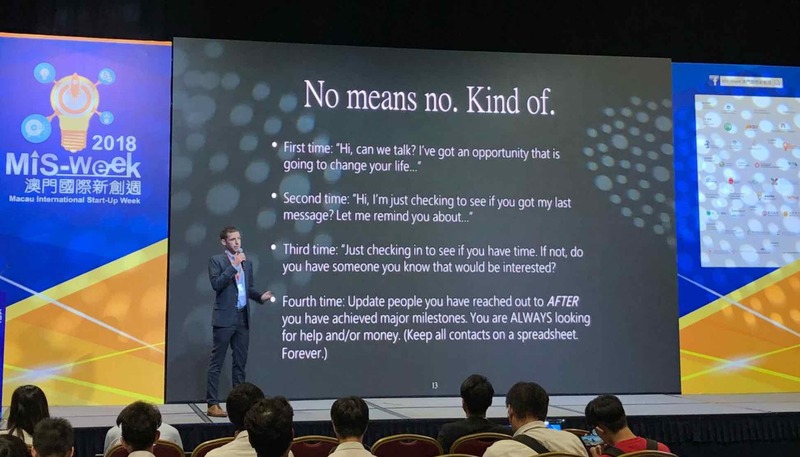 About a month ago I received an invite to come speak at a startup event that was to be held in the Chinese Special Administrative Region of Macau. When I received the invitation, I had literally just returned back to the United States from visiting Hong Kong, Shenzhen, and of course, Macau. The idea of getting back on a plane to make the 18 hour flight to a place that I had just been wasn’t the most exciting idea. But, for me, getting the opportunity to become acquainted with the startup community of Macau sounded very interesting. Most importantly, I have learned that you just never know who you will meet and what you will find out. That’s the ever-curious part of me… I’m always wondering what’s around the next corner. The actual flight I took ended up taking nearly 40 hours, but I finally made it to Macau – even though I probably looked like a zombie. Once in Macau, I met up with Kyle and we made our way over to The Venetian, where the startup event was being held. Now, considering that the Macau Government brought us from around the world to come speak at this event, we expected to be presenting in front of several hundred people. As we walked into the massive event space, it looked like any other big conference. Dozens of booths, an eating area, a couple of stages, a ticketing booth, and event organizers roaming around. But, where were the event attendees? Where was the massive crowd that we expected to see? Now, that’s a bit of an exaggeration. There were some people there. But not many. When it was my turn to get up on stage and talk, there was barely anyone there. There were maybe fifty people in the crowd. And out of that fifty, forty were high school students that were on a field trip to the event. Or in other words, they were forced to be there by their school. Next up was Kyle, who is an excellent speaker. He literally gets flown around the world to speak at major conferences and will be doing a TED talk next month. His audience was even smaller than mine, which made me feel great about myself! All jokes aside, we were both shocked. Where was everyone? Was it the event organizers fault? What was going on? It was clear that a lot of money was spent on the event. I mean, just the event space in The Venetian alone probably cost an arm and a leg. That night we were invited to a private dinner with many of the event organizers and government officials. Everyone was very kind and appreciative that we had made the trek from the US. 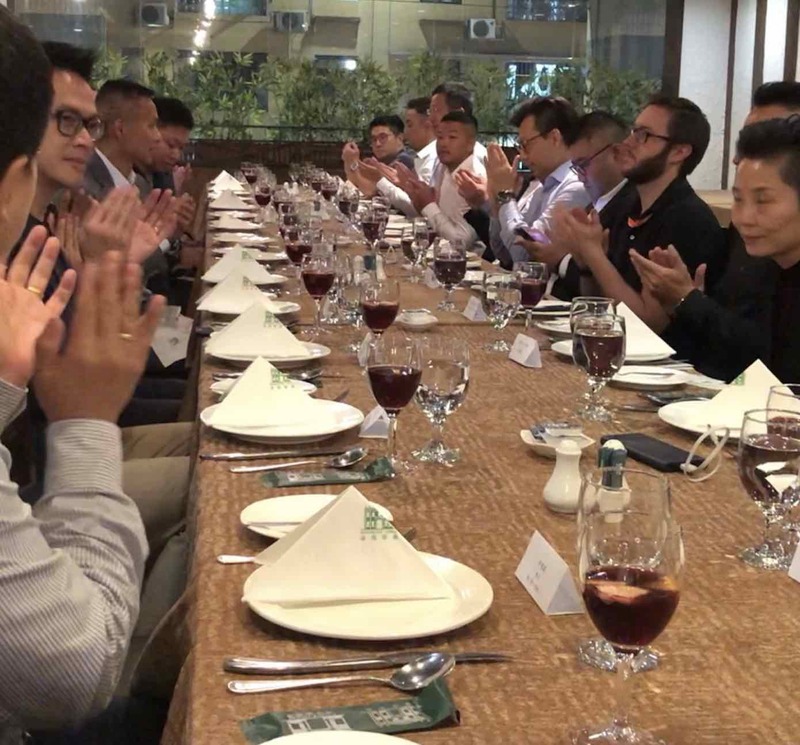 Eating a traditional Macanese meal with government officials. I forgot to mention that we were the only guests from the US. The ultimate answer to my confusion is: The startup community in Macau essentially does not exist. Now, I wouldn’t be sharing this with you if there wasn’t a huge opportunity, and I’ll get to that in a second. But first, it’s important to understand the economy of Macau. 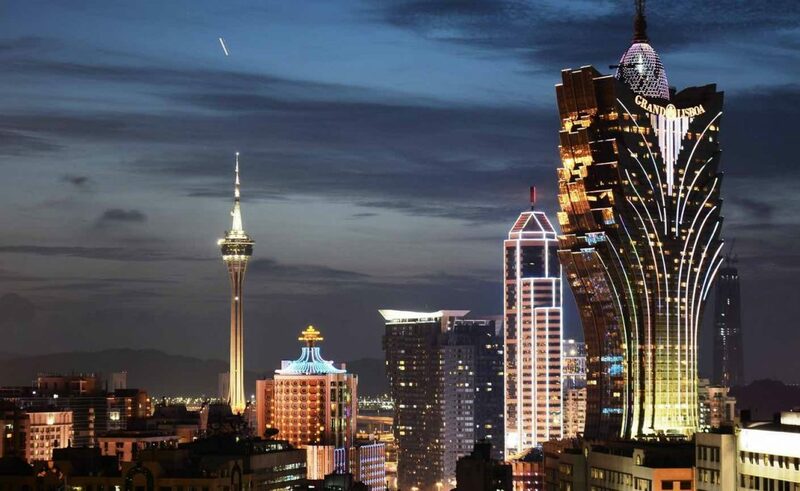 Macau has a population of about 650,000 people, and of those people almost 90% work in the casino industry. If you didn’t know, Macau is the gambling capital of the world and has an annual revenue that is three times the size of Las Vegas. The Venetian that we were at for the event? It’s 40% bigger than the one in Las Vegas. Macau has the third highest GDP per capita in the world and it was recently ranked as the fastest growing metropolitan area in the world. As far as taxes go, the place is extremely attractive with a maximum tax of 12% levied on profits. So how is all of this economic activity happening without a startup community? Entrepreneurs who create solutions are the exact reason why economies can continue to flourish. Without startup companies tackling problems, the ability for an economy to pivot and grow becomes very difficult. In fact, Kyle and I noticed numerous issues that were not being addressed in Macau. Things like delivery services, transportation alternatives, translation services, payment processors, etc. It’s as if the Macau economy has relied so heavily on the casino industry, that they have completely ignored all of the other smaller businesses. For an entrepreneur, this is a massive opportunity. The real irony is that just over the border in the nearby cities of Zhuhai, Shenzhen, Guangzhou, and Hong Kong, there are vibrant startup communities that are at the forefront of global tech. Meanwhile, in Macau, we literally only met with a handful of Macau based startups. One of the startups we did get to meet up with was figuring out how to take care of luggage logistics. So, for example, when tourists arrive in Macau by bus, ferry, or plane, there are no services to handle luggage. The lobbies of these casinos are a huge mess of roller bags and people walking around like penguins bumping into each other. So, this startup is figuring out how to take people’s luggage directly from when they arrive straight to their room and vice versa when they leave. Hong Kong has several services like this that are very efficient and make traveling there much more enjoyable – but not Macau. Here’s the best part… Who do you think would love to fund these startups? Casinos! Seriously, think about it. If someone can come into Macau and provide a service that not only gives a great experience to casino customers, but also increases the efficiency, and therefore profitability of a casino, then I’m sure they’d gladly invest. And I know this because we were just in Macau, at the request of the government, to help them grow their startup community. Low, or more likely no competition. Seriously. No competitors. Huge potential funding sources. The casinos! Low tax rate. As stated, 12%. Wide open opportunities to solve. You could just copy/paste an idea from somewhere else that you know works. The two official languages of Macau are Chinese and Portuguese, but many people speak English. So, communication is not an issue. So, how do you get there? You can fly directly to Macau, or to Hong Kong and take the ferry. Or take the new bridge opening soon. We’re going to keep an eye on this one. We’ve made some really solid contacts there, including a great law firm that is just waiting for entrepreneurs to come into the market.